The traditional setting of the Chapel at the Preserve features a colorful flower garden, a peaked roof with a bell tower and breathtaking scenery for incredible wedding photos! The chapel’s interior is just as amazing with wooden pews and a ceiling with a high arch to create an elegant Southern charm. During your ceremony, your guests will enjoy the stunning mountain views and the natural light that shines through the panoramic windows inside of the chapel! 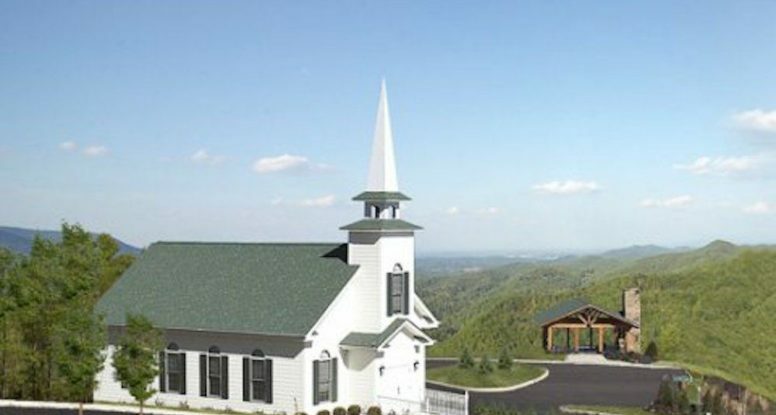 The Chapel at the Preserve not only provides a spectacular location, but it also features excellent facilities for your wedding in the Smoky Mountains! 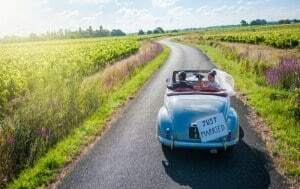 There is a private dressing area downstairs where the bridal party can apply any last-minute touches prior to the walk down the aisle, as well as a separate entrance for the groom so he won’t see his bride until the ceremony. At the completion of the wedding, everyone can easily access the outdoor pavilion for a wonderful reception and enjoy taking wedding photos among the background of the Smokies! Hearthside at the Preserve is pleased to offer a professional wedding planner to assist you in making your wedding ceremony a dream come true! The planner will help with every aspect of your wedding to make your experience stress free from the point of your initial phone call to the time you say “I do!” Whether you want music, catering, photography or videography, our planner will make sure that your ceremony and reception creates wonderful memories for you and your guests! One of the tough tasks when planning a wedding is finding accommodations for all of your guests, but that is not an issue at Hearthside at the Preserve! We have a wide range of Smoky Mountain cabins of all sizes, ranging from 1 bedroom cabins for couples to 12 bedroom cabins for large families and groups. All of your guests will love relaxing in our cabins that feature scenic views, fully equipped kitchens, hot tubs, fireplaces and many other excellent amenities! When you have your wedding at the Chapel at the Preserve, there is no need to travel anywhere else for your honeymoon! The Great Smoky Mountains are an instant honeymoon destination where you can enjoy miles of scenic hiking trails, dozens of fantastic attractions, highly rated restaurants and more! Rather than travel anywhere else, stay in one of our romantic 1 bedroom cabins to celebrate the start of your new life as a husband and wife! Check out all of the information about our Chapel at the Preserve today to plan your wedding in the Smoky Mountains! We look forward to hosting your wedding at Hearthside at the Preserve!